(1) Anderson, D.M., McFadden, G.B. and Wheeler, A.A., Diffuse-interface methods in fluid mechanics, Annu. Rev. Fluid Mech. 30, 139-165, 1998. (2) Chen, S. and Doolen, G.D., Lattice Boltzmann method for fluid flows, Annu. Rev. Fluid Mech. 30, 329-364, 1998. 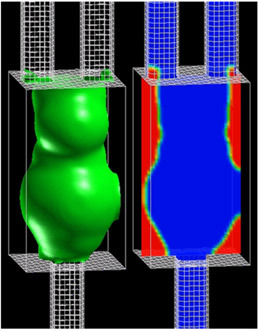 (3) Inamuro, T., Lattice Boltzmann methods for viscous fluid flows and for two-phase fluid flows, Fluid Dynamics Research 38, 641-659, 2006. (4) Inamuro, T., Ogata, T., Tajima, S. and Konishi, N., A lattice Boltzmann method for incompressible two-phase flows with large density differences, J. Comput. Phys. 198, 628-644, 2004. 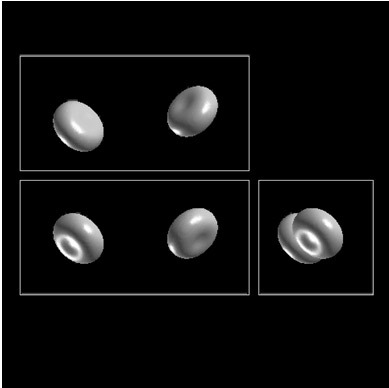 (5) Inamuro, T., Tajima, S. and Ogino, F., Lattice Boltzmann simulation of droplet collision dynamics, Int. J. Heat Mass Transfer 47, 4649-4657, 2004. 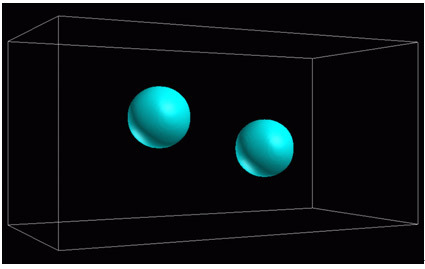 (6) Sakakibara, S. and Inamuro, T., Lattice Boltzmann simulation of collision dynamics of two unequal-size droplets, Int. J. Heat Mass Transfer 51, 3207-3216, 2008. (7) 佐藤　亘，稲室隆二，二相系格子ボルツマン法を用いた分岐流路を流れる気液二相流解析，日本混相流学会 年会講演会 講演論文集, 412-413, 2006. (8) Inamuro, T. and Ii, T., Lattice Boltzmann simulation of the dispersion of aggregated particles under shear flows, Mathematics and Computers in Simulation 72, 141-146, 2006.